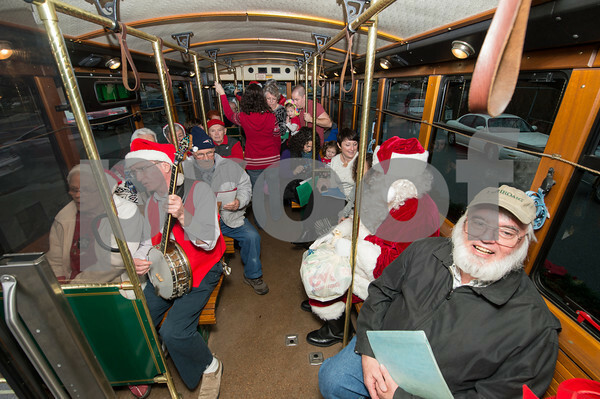 Riding the trolley to the first stop are carolers Shirley and Mark French, seated front left, Jeff Parsons, front right, and Paul Ichuck as Santa, among others. Every year Bob Whynott leads a troop of carolers around Gloucester, visiting elderly housing complexes and nursing homes. The carolers meet at the Whynott house and then take a CATA trolley to the various stops before wrapping up with nibbles and cocoa back at the Whynotts.